Things in Greece are bad right now, and if its leaders make a misstep in the next few days, they'll get a whole lot worse. The Greek central bank, which manages the country's money, is warning of a doomsday scenario if politicians fail to strike a deal with creditors. The bank warned Wednesday of "an uncontrollable crisis" if the indebted country defaults, which would ultimately lead to it falling out of the eurozone. "All this would imply deep recession, a dramatic decline in income levels [and] an exponential rise in unemployment," it said in a statement. "From its position as a core member of Europe, Greece would see itself relegated to the rank of a poor country in the European South." 1. Collapsing GDP: The economy briefly emerged from a six-year depression last year but has fallen back into recession in the last two quarters as uncertainty over the country's finances has returned. GDP is now 26% smaller than it was before the financial crisis of 2008. The Greek central bank refused to speculate on exactly how bad things could get. But its warnings of a "deep recession" and "sharp slowdown in annual growth" show just how much is at stake. 2. Scared savers: Roughly 30 billion euros ($33.8 billion) was withdrawn from Greek bank accounts between October 2014 and April 2015, according to the central bank. People are hoarding cash as they worry about the stability of the banking system, and moving money out of the country. This capital flight has forced the banks to rely on the European Central Bank for emergency financing. But that lifeline would be cut if the Greece government defaults on its debts this month. This would force the country to introduce rules on cash withdrawals (aka capital controls) to avoid a complete banking collapse. 3. Spiking unemployment: The latest jobless figures in Greece show unemployment still exceeds 25%, with 1.2 million people out of work. The rate among young people is twice that. The central bank's warning of "an exponential rise in unemployment" is unsettling at best. 4. Soaring inflation: Greece has been in the midst of a deflationary spiral since early 2013, but that could change quickly if the country has to abandon the euro and start printing drachmas, which would be considered a far less valuable currency. That would rapidly push up the cost of imported goods. 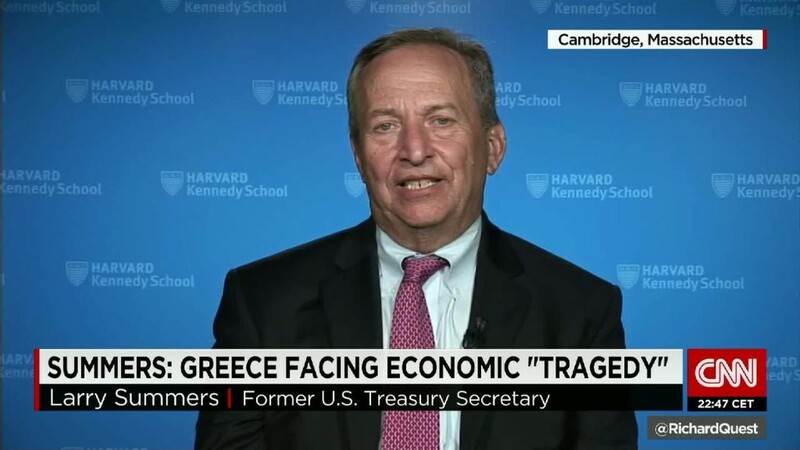 "An exit from the euro would only compound the already adverse environment, as the ensuing acute exchange rate crisis would send inflation soaring," said Greek central bank.